Nigel Rhodes Fine Art offers clients a high quality interior design and furnishing service, providing over 35 years of expertise in the world of paintings, works of art and furniture. Whether it is the smallest of luxury spaces or the grandest of properties, we work with clients on every aspect of a project. Our clients often come to us through word of mouth and our discretion and appreciation for their privacy is paramount. In understanding and getting to know clients' tastes, Nigel can source particular items and artworks suited to each individual space, whether it is a statement painting above a fireplace in a main drawing room or a small side table for a corridor. Each item is carefully thought of for its quality, style and period, condition and colour, to create interiors that are both luxuriously comfortable and practically liveable. Creating and designing an interior begins with an initial discussion to establish the styles and periods suited to the client's tastes and suited to the house. Positioning traditional gilt framed works of art or antiques alongside 21st Century accessories and colour palates can be very successful and makes for a genuinely contemporary look that speaks of quality and style. 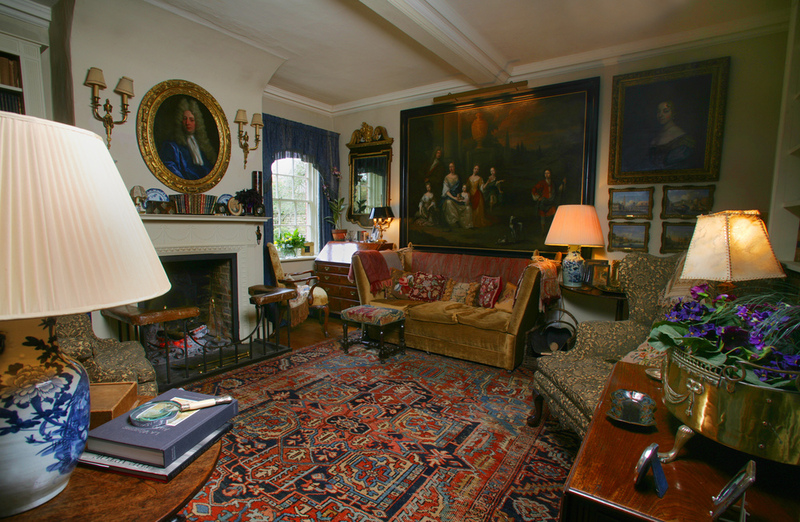 Arranging to visit the client in their home is a key element to the process, while clients often visit Nigel in the gallery as well, to view and discuss antiques and fine art generally. This is the beginning of a relationship. Experience and expertise in the more practical areas of lighting and hanging is important and the attention to detail in choosing fabrics and accessories are all key to the success of our furnished interiors. 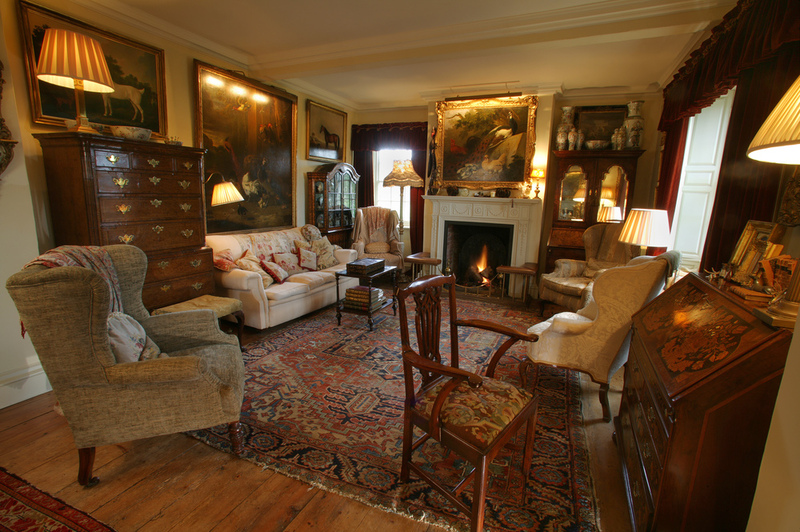 Illustrating a traditional interior, full of very fine antiques and paintings. A beautiful escritoire above which hangs a painting by William Banks Fortescue 1850–1924, of the Newlyn School. A selection of photographs illustrating just a few of the interiors that Nigel has furnished. Many of our projects are not shown in respect of client's privacy. Keep informed about our newest items, news and events by joining our mailing list.